I’m going to be honest – I don’t like uncertainty. I like plans and knowing what is going to happen, preparation and execution that goes perfectly, with no surprises along the way. This sometimes makes it hard to allow God’s will to work (you know what they say about God and our best-laid plans….) and it really makes it hard to work in advocacy. Right now, we find ourselves in a place of great uncertainty when it comes to the foreign assistance budget. The good news is that Congress is poised to lift restrictive spending caps which could have resulted in drastic cuts to foreign assistance. This deal will allow spending bills for Fiscal Year 2018 (which technically began on October 1, 2017) to be finalized, with decisions on how much money should be spent on programs like maternal and child health, prevention of child labor, education, food and nutrition programs, the HIV/AIDS response, providing clean water, and humanitarian assistance. Unfortunately, the budget deal also changes how foreign assistance might be funded, reducing a funny-sounding mechanism called “Overseas Contingency Operations” that provides a significant amount of the funding for the total foreign assistance budget adding to the base funding. The budget deal cuts this funding by more than 40 percent. 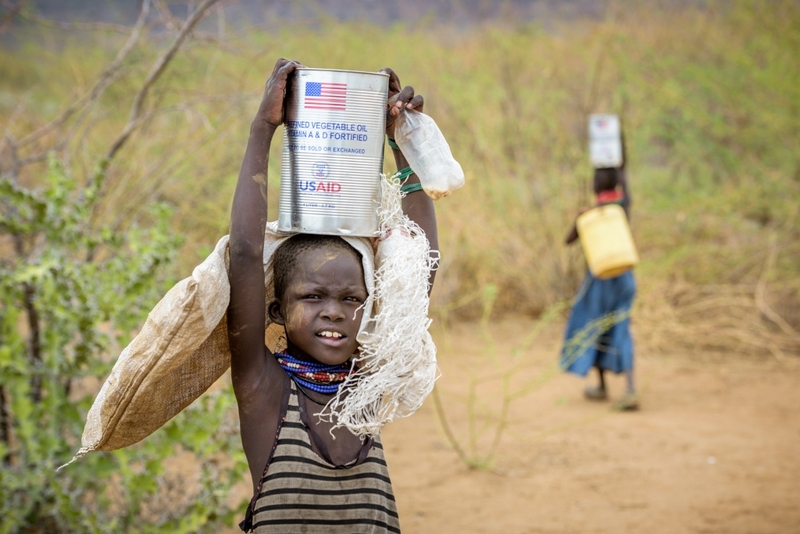 This is funding that has been critical as the U.S. helps respond to the needs of millions of refugees displaced abroad (including providing food, water, shelter, and health care) and to support programs that build peaceful and stable societies among other things, including disasters and crises that cannot be foreseen. This does not have to mean that overall foreign assistance will be cut as Congress works to put together the Fiscal Year 2018 appropriations bills. But it does mean that there is a great deal of uncertainty and potential for a big cut if base funding is not increased. It means we need to let Congress know that people are paying attention and that nothing less than a total $57.4 billion for the foreign assistance budget will do, the same amount Congress approved last year for Fiscal Year 2017 – less than one percent of the total federal budget. At a time when responding to global needs is more complex and critical than ever, maintaining U.S. leadership is critical and any cuts to foreign assistance would be devastating to efforts to save and improve the lives of the most vulnerable. Cuts to vital diplomatic and development efforts only diminish the United States’ ability to respond to and prevent new humanitarian crises and build a safer more prosperous world. We cannot afford to cede global leadership to others and abandon American values. In the next few weeks this cloudy picture will get clearer, but in the meantime, it is more important than ever that you raise your voices in defense of foreign assistance. Please tell Congress that cuts don’t represent American interests or values and that a minimum of $57.4 billion must be provided for the State, Foreign Operations budget. Early Friday morning on February 9, the President signed a new two-year budget passed by the House and the Senate. The risk of these cuts are now more real – critical decisions affecting foreign assistance are expected to be made by mid-February. Your action is needed urgently to help preserve foreign assistance. Enter your info below to find your members of Congress. Stand out on the phone: be polite, explain why you care, and always say thank you!